Organizers of the Maine Boats, Homes & Harbors Show said the 13th annual event attracted thousands of visitors last weekend to Rockland. 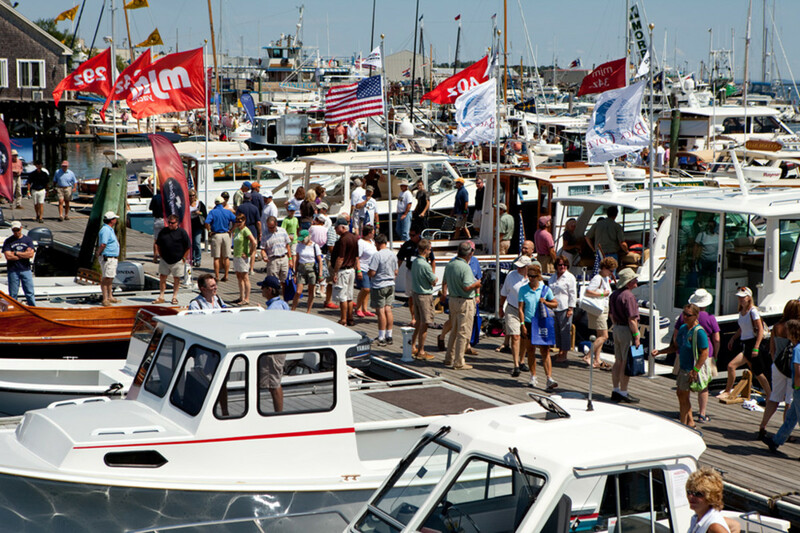 Organizers said the Maine Boats, Homes & Harbors Show had 50 new exhibitors this year. More than 50 new exhibitors joined show regulars to present custom-built powerboats and sailboats, bespoke furniture, fine art and jewelry, technology, marine gear and engines. To keep things fresh and the appeal broad, show organizers said they added several new attractions and events this year. A fleet of refurbished boats was on display on the Refit Docks, a complement to dozens of new boats. In a salute to Maine’s working craft, the show hosted visits by the Maine Sea Coast Mission ship Sunbeam V, the 1921 Arctic exploration schooner Bowdoin and a fleet of Peter Kass/John’s Bay wooden lobster boats. The first Boston Whaler Rendezvous was a weekend-long celebration of all things Whaler. Prizes were awarded in eclectic categories (including “Most Bedraggled,” which went to Camden’s Hodding Carter). The "Most Outrageous" award went to a 1971 Outrage owned by Gary Hull of Friendship, Maine, and the “Best in Pod” award for overall Whaler excellence went home to Rockport, Maine, with Frank Emmet and his 1963 Classic 13. Sunday morning got off to a rambunctiously furry start with the World Championship Boatyard Dog Trials. After the lighthearted competition, the Maine Lobster Festival Crowned Sea Princess, Payton Billingsley of Rockland, awarded top-dog honors to the new World Champion Boatyard Dog. A paddle-boarding English-style yellow lab named Zephyr from Owls Head and his owner, Tony Fitch, edged out the competition. Zephyr will be featured in the November issue of Maine Boats, Homes & Harbors magazine.